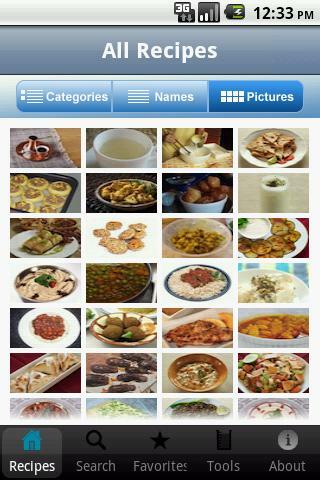 100 Lebanese Recipes on Android! Download the new Android app! Use this app and bring the delicious taste and richness of the Lebanese cuisine to your home - enjoy 105 of the finest Lebanese recipes and experience the flavor of the Middle-East. The huge variety of dishes includes among others traditional salads, starters, meat, chicken, fish and vegetarian dishes as well as famous desserts. It will allow you to prepare typical Lebanese menus and surprise your family and friends. All recipes are decorated with high quality pictures to give you an upfront idea of what you are just about to cook. Recipes collection include for example Ahweh, Baklawa, Falafel, Fatayer, Hommos, Kafta, Kebbe, Knefeh , Labneh, Maamoul, Manakish, Rkakat, Samak bi Tahini, Sambousek, Sharab el Wared, Shawarma, Shish Kabab, Shish Taouk, Tabbouleh, Tahini, Taratour… and much more! 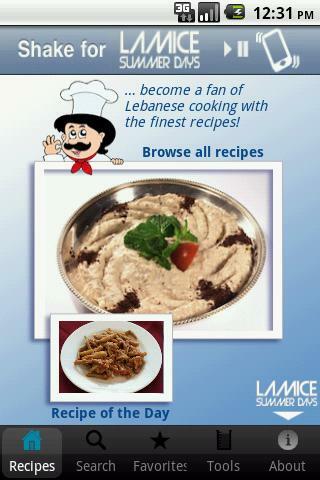 Check out the 105 recipes on http://www.LebGuide.com.